Dave served in the Air Force for 9 years as a navigator and combat systems officer on the RC-135 RIVET JOINT and was stationed at Offutt AFB in Nebraska. He deployed 7 times in support of Operation Enduring Freedom and reconnaissance operations in the Horn of Africa. He separated in September 2014 as a Captain. Dave attended the University of Colorado at Boulder and studied Environmental Biology and Biochemistry. 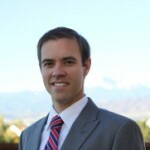 Following his time in the Air Force he attended George Washington University in Washington, D.C. and earned a Master of Science in Project Management. Dave is currently working on his Project Management Professional certificate and will begin working on A+/S+/CompTIA IT certifications in December to position and market myself as an IT Project Manager in the Colorado Springs/Denver area.